The event organised by Blackburn with Darwen Borough Council and produced by local company Pop Up Entertainment, saw a cavalcade of princes, princesses, elves, toy soldiers and fairies march through the Mall, Blackburn Market and end with a performance of festive classics on stage in Cathedral Square at the heart of Blackburn’s Christmas Market. Visitors to Blackburn could enjoy two performances of the parade at 11am and 2pm. 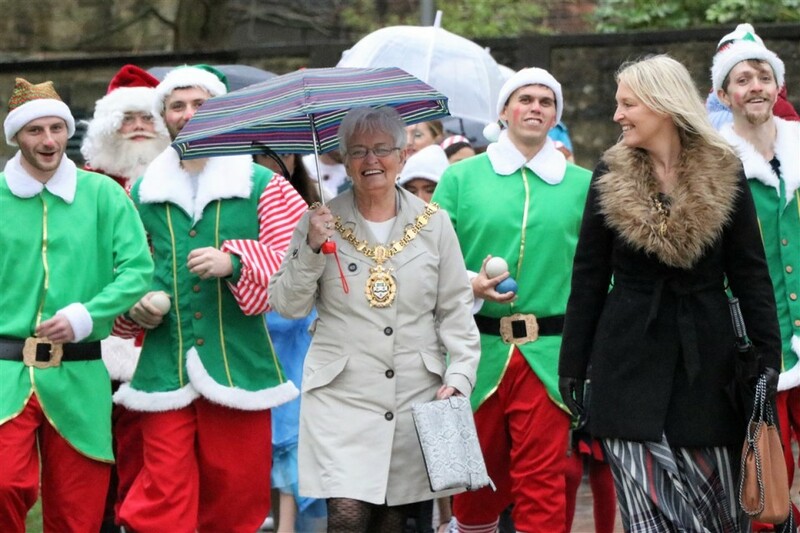 Main Picture: BwD Mayor, Councillor Mrs Pat McFall with Mayoress, Mrs Lucie Higham lead the parade into Cathedral Square.